We are proud to work with our partners to develop and present the International Forum Glasgow 2019. Our partners are involved in the development of the conference, curating the programme to ensure that it is relevant and meets the learning needs of our delegates. Partners also enhance the delegate experience with visits to key local institutions. They are also instrumental in building momentum, bringing colleagues together from a diverse range of international networks. We are appreciative and thankful for their generous support. Healthcare Improvement Scotland (HIS) is an improvement organisation providing better quality health and social care for the people of Scotland. HIS enable people to make informed decisions about their care and treatment and help health and social care organisations to redesign and continuously improve services. NHS Education for Scotland (NES) is an education and training body and a special health board within NHS Scotland, with responsibility of developing and delivering education and training for the healthcare workforce in Scotland. NES has a Scotland wide role in undergraduate, postgraduate and continuing professional development. NHS Greater Glasgow and Clyde (NHSGG&C) is the largest Health Board in Scotland and provides health and social care services to the 1.15 million people resident in our area. We also provide specialist services on behalf of West of Scotland and provide a number of national services which are accessed from across Scotland. The Board has an annual turnover of £3.337 billion per year and employs 39,286 staff. 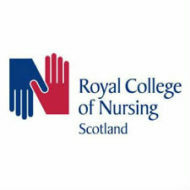 RCN Scotland represents nurses, health care support workers, nursing students and midwives across Scotland. We campaign on issues of concern to nurses and patients, influencing health policies and promoting excellence in nursing practice on behalf of our members. The Health and Social Care Alliance Scotland (the ALLIANCE) is the national third sector intermediary for a range of health and social care organisations. The ALLIANCE has over 2,300 members including large, national support providers as well as small, local volunteer-led groups and people who are disabled, living with long term conditions or providing unpaid care. The State Hospital, a high secure, forensic setting provides tailored care and treatment for a maximum of 140 male patients who present with complex needs. The Hospital is a national resource for Scotland and Northern Ireland, delivering person-centred care which supports the recovery process and maintains public safety. The NVZ is the trade association for general hospitals and specialist institutions in the Netherlands. We represent the interests of our members where healthcare, the economy, and society are concerned. The NVZ also represents Dutch hospitals’ interests abroad. In Europe, through HOPE and HOSPEEM, we join European politicians in Brussels in their discussions around healthcare. In addition, the NVZ is a member of the International Hospital Federation (IHF). Danish Society for Patient Safety (PS!) is an independent, nonprofit organization working to improve patient safety across Danish healthcare. PS! was founded, and is supported by, all major stakeholders in Danish healthcare. PS! strives to create sustainable healthcare, undertaking small and large scale improvement projects in collaboration with our partners. Launched in 2011, the Norwegian Patient Safety Programme aims to reduce preventable patient harm, establishing lasting structures for patient safety and improve patient safety culture in the health and care services. It is a nation-wide program that applies to all levels of the health and care services. The Singapore Healthcare Improvement Network (SHINe) is an umbrella group composed of 33 member healthcare organisations including Ministry of Health, Agency for Integrated Care, acute care hospitals, speciality centres, polyclinics and community hospitals whom are collectively committed to better health, better care and lower cost care to patients. The Network aims to accelerate the pace and scale of improvement, leading to system-wide, transformative healthcare in Singapore. It is also a network for members to collaborate and learn from each other to develop, implement and modify patient safety and quality improvement in their respective organisation, as well as influence and effect the national quality improvement agenda. Designing an infrastructure to improve health & social care in Northern Ireland. Inspiring: Connecting: Improving.